I have two hives now and we have had an early start to the season. I am becoming optimistic that I shall have honey! I have placed a deposit on an extractor (I would probably have just used the association extractor had my OH not suggested he buy one as a present for me). I have designed a honey label. 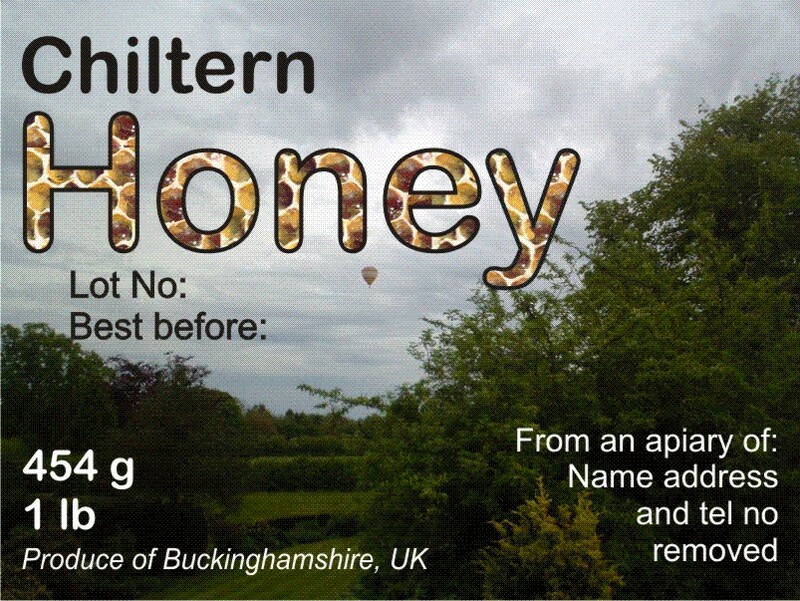 Chiltern Honey will be the key description as Buckinghamshire Honey is such a long title you have to use a small font to fit it on. I have ordered some plain tamper proof label and also some ‘Bees for Development’ tamper labels – this means 10 p from each goes towards helping 3rd world countries introduce sustainable beekeeping projects where once trained, the beekeepers then try to pass on tehir knowledge to others in their communities. My intention is to print my own labels but I may get a quote from a local printer. Post script; having used the Stokenchurch Print Shop for making my artwork into Christmas cards and extremely pleased with the result and cost, I asked for a quote and have now ordered. None of the places where you can personalise their designs had quite what I wanted. For a totally personalised label set up costs (a one off) were frequently of the order of £200 with label costs on top. For 250 labels I will be paying about one quarter of alternatives. Printer ink cartridges and label costs would probably have added up towards that amount and the vinyl labels should be much more satisfactory. Moral of the tale – do investigate local tradespeople where possible. I also ordered 36 smaller hexagonal jars. This would allow me to give samples to friends even if the harvest is smaller than expected. 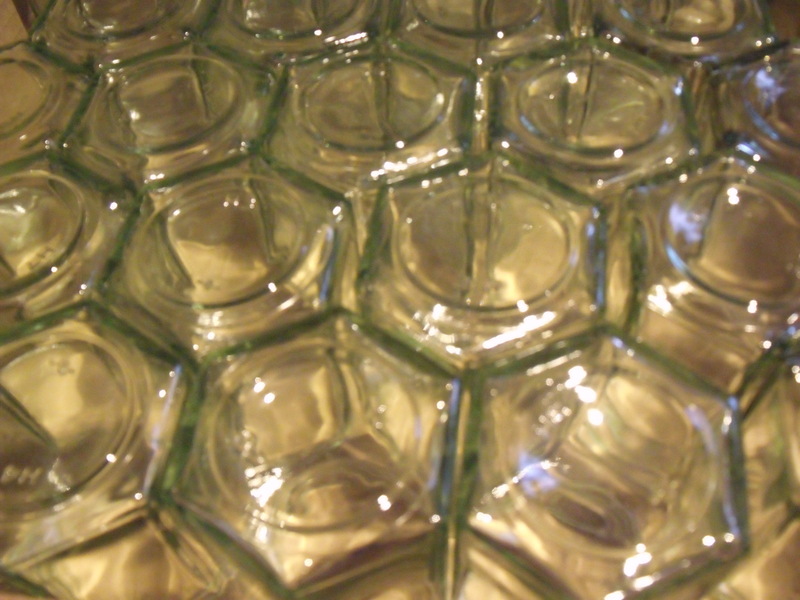 The hexagonal jars seem somehow very appropriate for honey, echoing the cells in the hive. Hexagonal jars hold either 12 oz or 8 oz. Many BKA collate members orders for best bulk buy deals.. Re-use sites like freegle are good for jars to give away sample honey.